The store of your dream is just a step away. Noble pastel color scheme, textured background, elegant logo design - this is not the full list of theme benefits. Image based navigation and beautiful animation effects in slider gallery draw our attention. Stylish banners are placed right below the content area. Large product images let the customers view them in detail. Its very simple to use and config. I&#039;m very happy with this template. 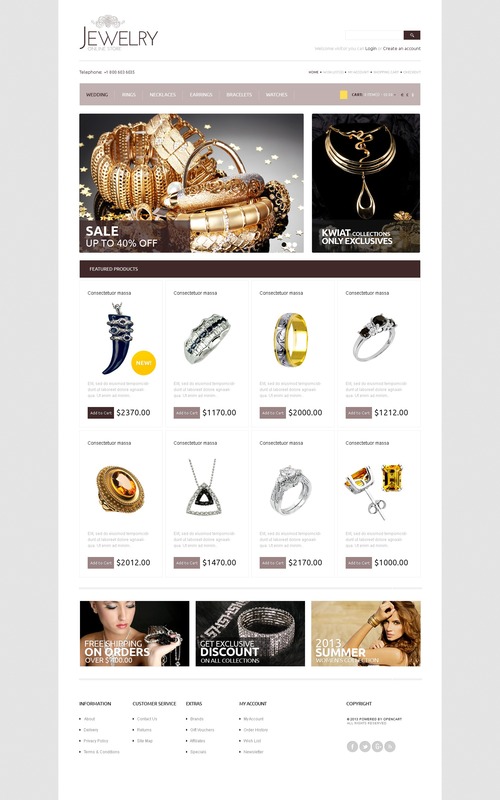 The theme fits fashion, beauty, accessories, wedding, and gifts stores.